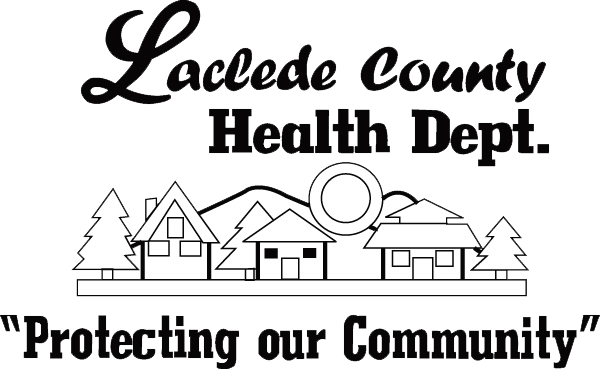 The Laclede County Health Department has provided various health related services to the citizens of Laclede County since the beginning of WWII. Although records vary with the original date of opening, the first “health unit” was established in approximately 1942 and was located in the Laclede County Courthouse on Adams Street, Lebanon, Mo. The original staff included; one administrator, one nurse and one health inspector. During the 1950s, a local family donated a piece of land on Chestnut Street for the new site of the Laclede County Health Department. Construction was made through a partial federal grant and local funding. Two additional nurses were hired, along with one clerical position. The original services offered by the Laclede County Health Department included immunizations, communicable disease management, general sanitation and home nursing care. This facility was used until the Health Department moved to its current facility in 2001. On July 14, 2000, a lease to purchase agreement was entered into by the Laclede County Health Department and the Laclede County Industrial Development Authority, to purchase a vacant building at 405 Harwood Ave. In November of 2000 a grant was applied for and was received for renovations and equipment for the new 11,785 sq. ft. building. After all renovations were complete, operation in the new facility began on July 16, 2001. To stay well informed of public health needs, to devise realistic plans to meet those needs, and to be creative in resourcing and implementing those plans. We will be committed to providing an enjoyable, healthy, and safe working environment for all our employees. This environment will be free of discrimination and harassment, in any form. Our employees are the most important resources to our agency. We believe that Laclede County Health Department provides invaluable services to county residents. The management and staff will be totally professional in all activities; maintaining professional qualifications, ethics and demeanor. Respect for the rights and privacy of clients and giving/doing more than the expected must become routine. The client is the reason we exist as an organization.